The secret to the glittering career of ex-Chelsea and Ghana legend Michael Essien has been revealed by one of his old teammates. Derek Boateng who played alongside the powerhouse midfielder for their country at youth and senior levels he is not surprised by the fact the 34-year-old is still going strong playing in the Indonesian top flight side Persib Bandung. 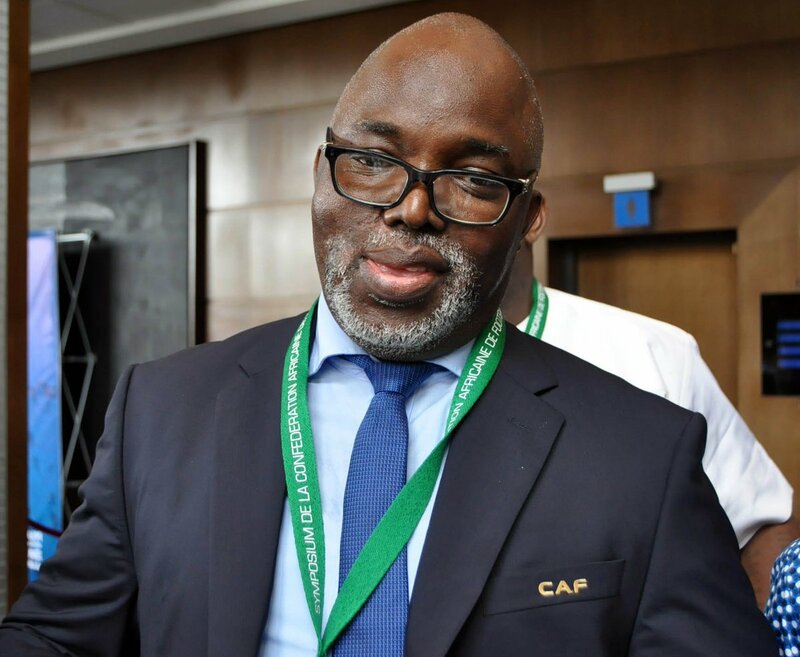 Nigeria football Federation president Amaju Pinnick claimed that the failures of the African Cup of Nations was a key factor behind Nigeria only thing for the World Cup 2018. After having been unable to reach the African Cup of Nations in back-to-back editions, Nigeria were able to reach the World Cup 2018 in relatively comfortable fashion. These failures were a key factor in motivating the team higher positions and greater performances in the qualification campaign according to the president. Pinnick says that anymore failure for the national team would have been disastrous and the team were relatively happy to avoid this situation. The Nigerian national team were able to finish top of their World Cup qualification group with a significant advantage over second placed Zambia and third placed Cameroon. Both these teams were considered as main challenges for Nigeria but the team ended the qualification campaign without any defeat in the six matches. There was further boost for Nigeria as they were able to get a 4-2 win over Argentina in a recent friendly match. Unlike some of the things that do not take part in many competitions between now and the World Cup, Nigeria have several matches lined up in the African Nations Championship in January. FIFA might not be happy with the Russian Federation for the time that they are taking in getting their stadiums and other infrastructure in order for the World Cup, but, the Russian Federation is also not happy with FIFA for some reason and the reason is that they are not making sufficient effort in advertising the tournament. Generally FIFA organizes events at various locations where the legends of the games are present with the World Cup trophy and talks about the importance of the World Cup and their World Cup experiences and such events start taking place 18 to 24 months before the tournament. United States faced off with the Canadian national football team a few weeks ago on February 6 in a friendly match which finished with a final scoreboard of 1-0 in favor of the American team. The only goal of the entire match was scored by Jozy Altidore at the 89th minute as he connected with a cross from Ethan Finlay and found the back of the net in the last few minutes of the encounter. Russian president Vladimir Putin has claimed that the World Cup 2018 will go down as one of the best events in world football. Russia will be hosting the next edition of the World Cup with a lot of controversies surrounding the event, host, and the organisers. Fifa has been caught up in a corruption scandal with allegations that many of the voting members receive kickbacks for making Russia as the host of the 2018 World Cup. The tournament will be held from June 14 and will run for almost a month before concluding on July 15. Greg Dyke is the chairman of the Football Association (FA) and he believes that the organizers who were involved in the 2018 and 2022 World Cup will not be sleeping well as the FBI has already arrested a number of FIFA executives and this pressure which started to emerge has even forced Sepp Blatter on stepping down as the president. Sepp Blatter is another one who is being investigated and might even be arrested as well depending if whether or not enough corruption and bribery evidence is found. Uruguay will play Morocco in a couple of days’ time and that will be the last opportunity for Oscar Tabarez, the man in charge of La Celeste, to make a decision regarding the players that he would pick for the defence of the Copa America crown. Uruguay had clinched that crown in 2011 beating Paraguay in title game played at Estadio Monumental Antonio Vespucio Liberti. But, there is a bit of difference in the team that Uruguay had during that tournament and the team that they have right now. They were much stronger back then with Luis Suarez in there and firing. Suarez is still active of course, playing for one of the biggest clubs in the world, Barcelona, but, he is yet to complete his ban in international Football and he would not be available for Uruguay even for the latter games of Copa America. As if Suarez’s unavailability was not a big enough blow, Uruguay has lost Gaston Ramirez as well to injury. United Arab Emirates have managed to agree a deal with coach Mahdi Ali over extending his contract. The 49-year-old was due to leave the UAE national team role in the summer. His contract was coming to an end in the next few months, but UAE officials are thought to be happy with his progress. The nation has lost only twice since November and are in a good position going into the World Cup 2018 qualifying campaign. Mahdi Ali has stressed that it is imperative that UAE do well in the qualification stages and possibly reach the last levels of qualification. The esteemed Konstantinovsky Palace of St. Petersburg would be reportedly hosting the preliminary draw for 2018 FIFA World Cup. The World Cup Preliminary Draw is slated to be held on July 25, 2015. The World Preliminary Draw once again perfectly proves FIFA World event’s unique élan to join the whole world together. The event would be attended by several dignitaries, including delegates from participant member associations right from all the 6 confederations, around 800 press representatives & a huge audience consisting of around 2000 people- these include eminent personalities from the political, show business and sports worlds. The draw event is expected to be watched by millions & millions of spectators from all over the globe. Neymar is one of the youngest players not only in his club Barcelona but also in the national team of his country Brazil but this has not stopped him from breaking records and being named as the captain of the Brazilian squad. Despite having more experienced players in the squad of Brazil, Dunga has not been shy in appointing Neymar as the current captain of the team. The star of Barcelona has been active in the international scene as he is a constant starter as well as being awarded with the captain armband during some of the latest friendly matches of Brazil. The undisputed captain of Brazil is Thiago Silva but the defender has managed to make an appearance in any of the recent friendly matches for his country due to an injury and Neymar was selected as the man to wear the armband and the team in the pitch.